Last week I really needed some recipe inspiration. My first year away from meat has been challenging, educational and most of all rewarding. Since I am fairly new to this genre, the occasional nudge is welcome. The Huffington Post gave us a 24 recipe hit list from Food52 and every one of my choices for the week made the mark. Their web site is super user friendly, and I love the side gadget where you can view how many people are viewing a recipe live. First of all I was completely taken by the beauty of the ingredients from my shopping list. 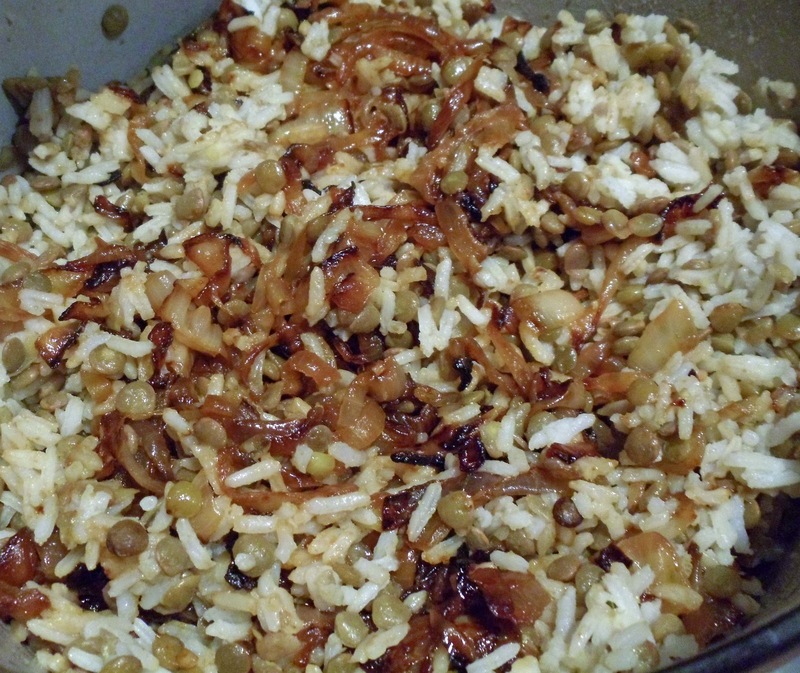 My favorite recipe from the list was Mujaddara with Spiced Yogurt. 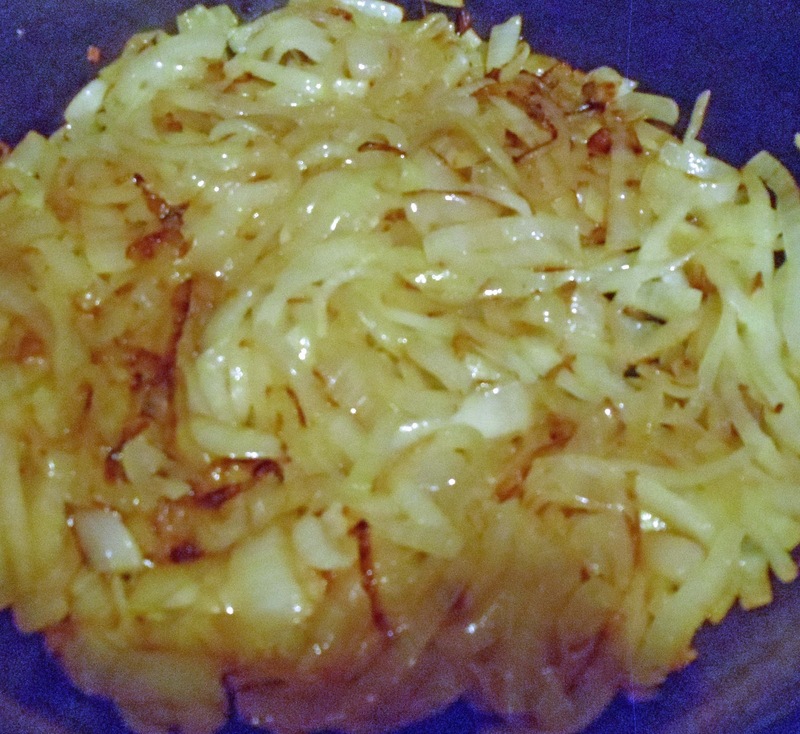 How can you go wrong with 6 cups of carmelized onions?? The lentils, yogurt and onions are rumored to create a healing elixir for women. 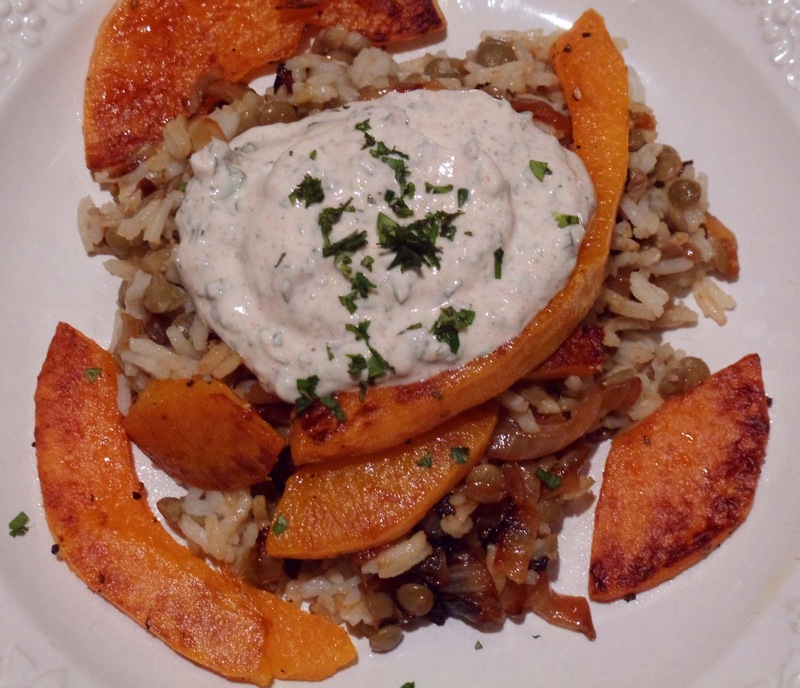 Whatever the ‘powers’ of this dish, the flavors are beautifully tied together with the mint spiced yogurt topping. The finished dish was full of flavor. I had some butternut squash on hand which I roasted with olive oil and salt and pepper. Added on top before serving it gave a nice contrast in texture to the dish.﻿ If you give any of them a try, let me know which was your favorite.